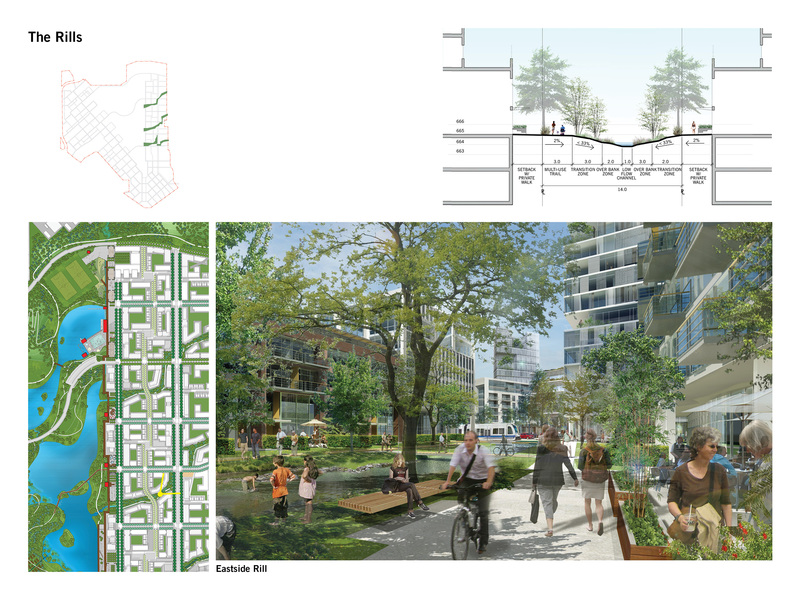 Winner of an international design competition, the plan repairs a 215-hectare rift in the city’s urban fabric. 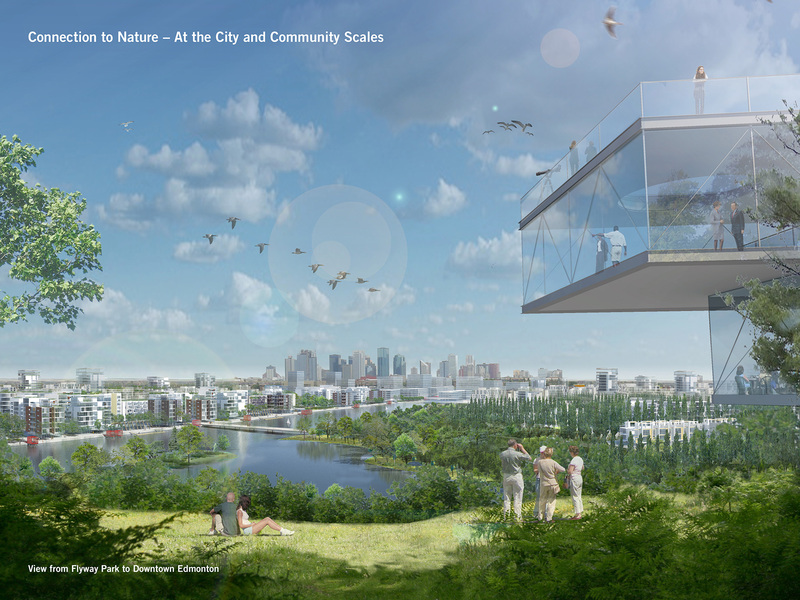 The team pursued the idea of ‘connectedness’ with a focus on sustainable urban living. 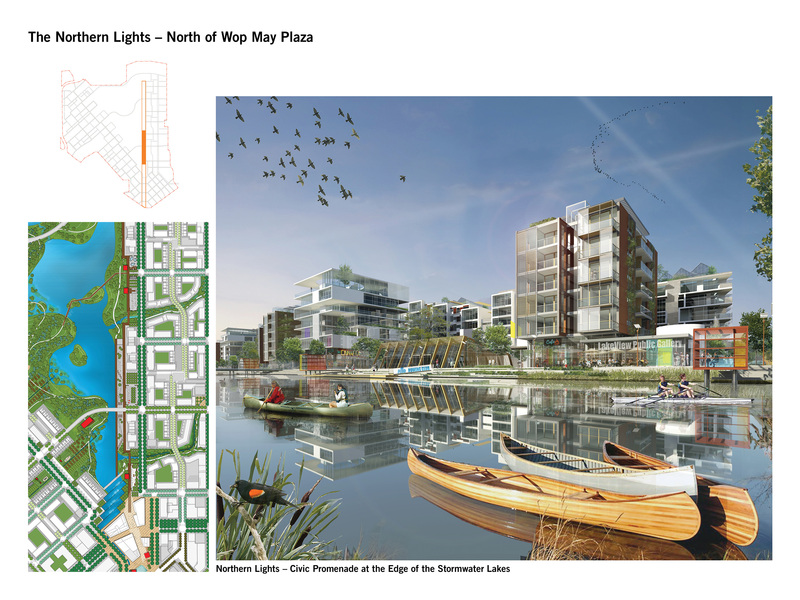 The plan delivers a community for 30,000 residents that includes an energy strategy to take the development beyond carbon neutral. 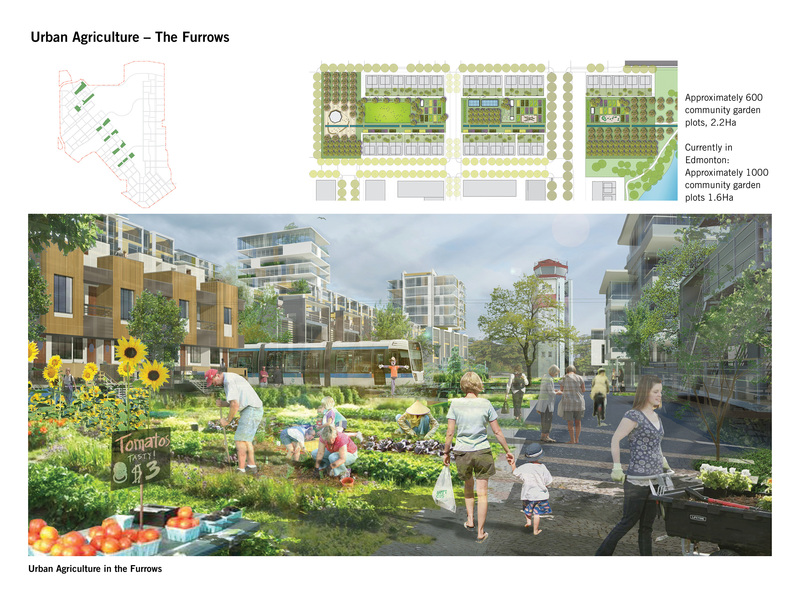 The plan sets a new mixed-use community in the context of a challenging environment. The City Centre Airport lands form a large void in the heart of the city. 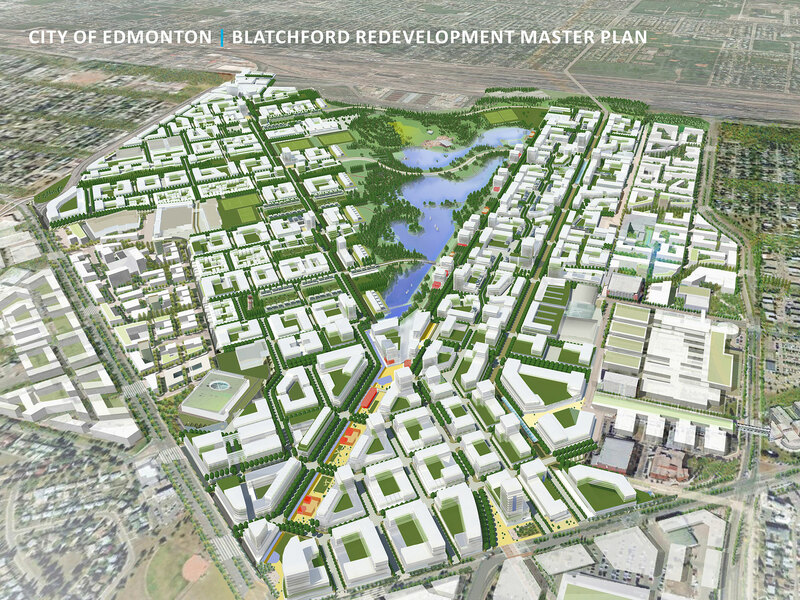 Surrounded by light- industrial and commercial uses, the site is further separated from residential neighbours by arterial roads, the Yellowhead Highway and a railway.